Cheap, huge capacity, good value, well labelled controls. Slightly noisy during use. 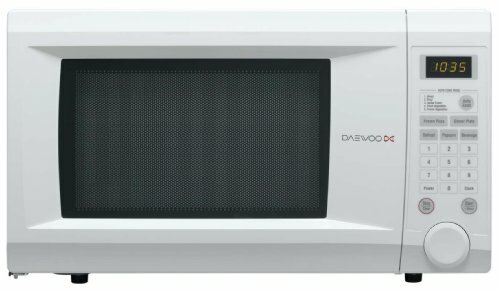 If you're looking to buy a large capacity cheap microwave then the Daewoo KOR1NOA is an ideal choice - 31 litre capacity, 1000w of power all for around the £90 mark. Essentially this is a plain looking white microwave, with a handful of basic functions, which would be ideal for the larger family due to it's generous capacity. Although it doesn't feature a grill or an oven feature, it does include 10 different power levels, and will be ideal for slow cooking large dishes such as casseroles. Unfortunately it is a touch on the noisy side during use - so this may rule it out for some - however it is easy to use, and feels well constructed. The controls are very well labelled, and overall our testers found it very easy to operate. 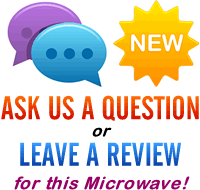 If you're looking for a chep, effective and large microwave, then this could well be the model for you. Works well and perfectly functional, with a large capacity. This Daewoo microwave offers very good value, and easy to use.